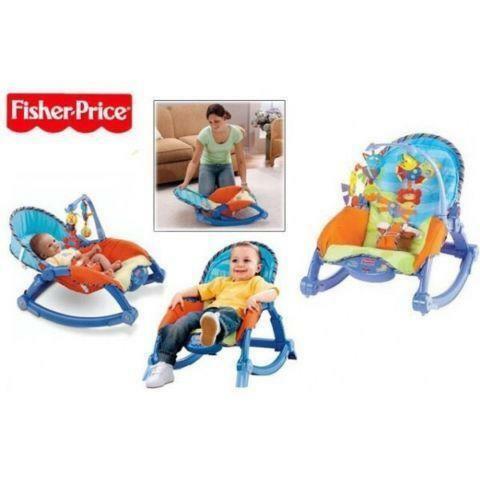 Fisher-Price Newborn-to-Toddler Portable Rocker for only $40 or best offer. Delight and entertain baby with the ultra-portable Fisher-Price Newborn-To-Toddler Rocker. Designed for use for infants to toddlers up to 40 pounds, this multi-purpose interactive play seat provides a safe place for baby to eat, rest, and have fun. It also folds down easily when you use the struts as a handle, offering both on-the-go convenience and space-saving storage. This is currently for sale at Walmart for $79.97 plus tax.